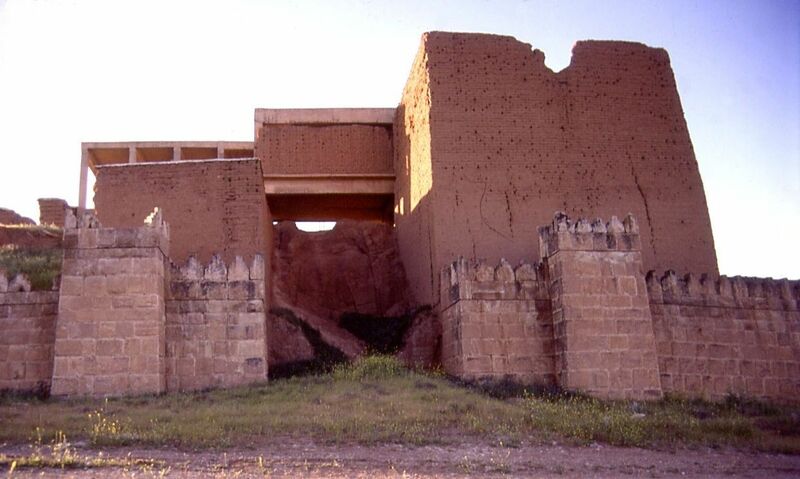 Nineveh is the oldest and was the most populous city of the ancient Assyrian empire, situated on the east bank of the Tigris River, in the vicinity of the modern city of Mossul, about 400 km north of Bagdad. 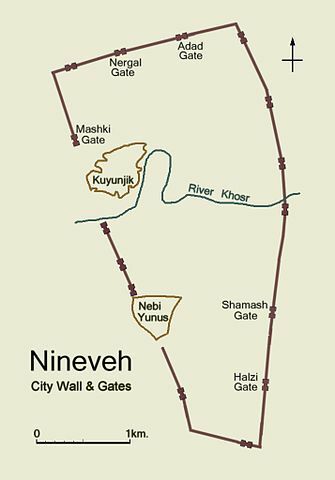 Nineveh was located at the intersection of an important north to south and east to west trade routes, and its proximity to the Khawsar River incentivized its economic growth as agricultural and pastoral land. The original meaning of the name is unclear, but possibly refers to the patron goddess Ninâ associated with fish or the river itself. 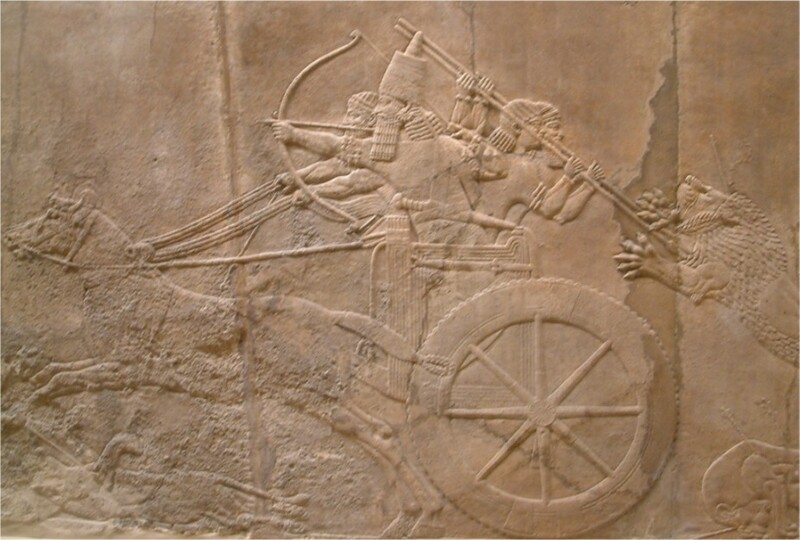 Nineveh developed into a magnificent and prosperous city in the 7th century BC, when designated as the capital of the Assyrian empire. Numerous urban buildings date from this period: streets, squares, the royal palace, the elaborate system of 18 canals, and the aqueduct. The city wall was fitted with fifteen monumental gateways, presumably used as barracks and armories. Nineveh is the setting of the Biblical Book of Tobit and reputed to contain the tomb of Jonah. The Biblical Book of Jonah, set in the days of the Assyrian empire, depicts when God ordered Johan to preach to the Ninevites of their coming destruction (Jonah, 3-4). It is described as “a very large city, [which required] three days to go through it”. Upon Jonah’s warning, Ninevites fasted and repented, and God spared the city. To this day, oriental churches of the Middle East commemorate the three days Jonah spent inside the fish during the Fast of Nineveh. Niniveh was submitted for consideration of inscription in the UNESCO WHS in 2000. Recently a multitude of threats has arisen and especially from purposeful human actions by ISIL, which occupied that area in mid-2010s and started looting and demolishing. 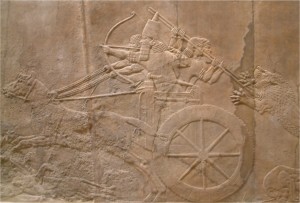 ISIL destroyed several items, which they declared blasphemous and idolatrous. 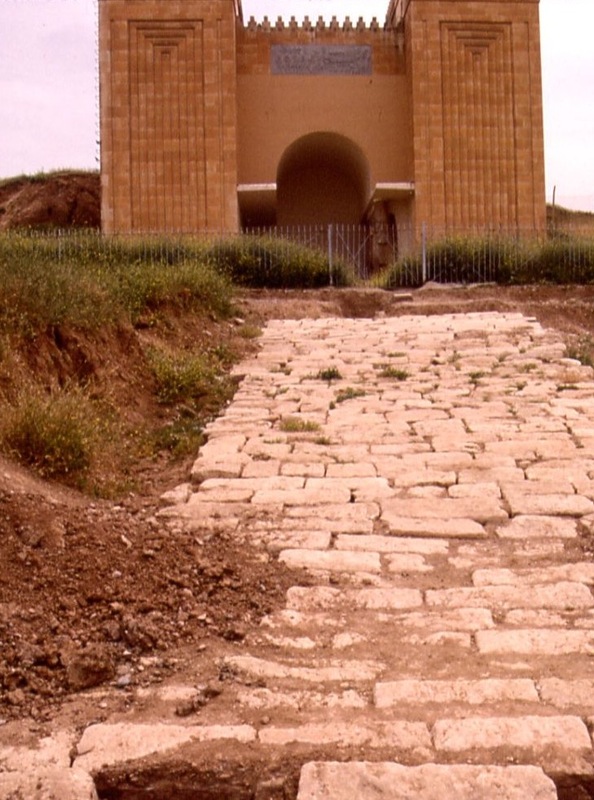 Extremists destroyed the Tomb of Jonah in February 2014. The Summer School 2019 “LeVERAGE ICTs for Tourism. Information and Communication Technologies in Tourism for preserving Living Heritage” will take place in Lugano & Müstair (Switzerland) from August 24 to 31, 2019. Copyright © 2019 UNESCO Chair. Powered by WordPress. Theme: Spacious by ThemeGrill.